Αν αυτό που ψάχνετε είναι ένα ξενοδοχείο σε καλή θέση στη Ταϊπέι, μην ψάχνετε πέρα από το Taipei Sunny Hostel. Το ξενοδοχείο βρίσκεται 1 KM από το κέντρο της πόλης και σας προσφέρει εύκολη πρόσβαση σε σημαντικά μέρη της. Με την βολική του τοποθεσία, το ξενοδοχείο προσφέρει εύκολη πρόσβαση στους προορισμούς της πόλης που πρέπει οπωσδήποτε να δείτε. Με τις υψηλού επιπέδου υπηρεσίες και την μεγάλη ποικιλία ανέσεων, το Taipei Sunny Hostel δεσμεύεται ότι η διαμονή σας θα είναι όσο πιο άνετη γίνεται. Για να ονομάσουμε μόνο λίγες από τις εγκαταστάσεις του ξενοδοχείου, υπάρχουν τα δωρεάν WiFi σε όλα τα δωμάτια, ημερήσιος καθαρισμός, κατάστημα δώρων/σουβενίρ, παράδοση ειδών παντοπωλείου, αυτόματο πλυντήριο. Ελάτε σε ένα από τα 15 φιλόξενα δωμάτια και ξεφύγετε από τα άγχη της ημέρας με μια ευρεία γκάμα ανέσεων, όπως επίπεδη τηλεόραση, ανιχνευτής καπνού, σύνδεση internet (ασύρματη), ασύρματη σύνδεση internet (δωρεάν), δωμάτια για μη καπνίζοντες, που θα βρείτε σε ορισμένα από αυτά. Το ξενοδοχείο προσφέρει μια άριστη ποικιλία ψυχαγωγικών εγκαταστάσεων, όπως τα βελάκια. Όποιος κι αν είναι ο σκοπός της επίσκεψης σας στη Ταϊπέι, το Taipei Sunny Hostel είναι μια εξαιρετική επιλογή για μια χαρούμενη και συναρπαστική απόδραση. Η ρεσεψιόν λειτουργεί από τις 7:00 AM έως τις 11:00 PM. Οι επισκέπτες που καταφθάνουν μετά τις 9:00 PM πρέπει να επικοινωνήσουν απευθείας με την ιδιοκτησία πριν από την άφιξη. Δεν είναι δυνατό να γίνει early check-in. Δεν είναι δυνατό να γίνει late check-out. Location wise, homey ambiance, helpful, friendly and approachable staff. Everything you needed for a comfortable stay were not just provided, but exceeded! Hassle free self check-in and check out since we arrived during wee hours and left early! Highly recommended! Highly appreciated especially the warm welcome... will definitely book this when we return. P.S., we really enjoyed the free milktea, biscuits, candies and coffee. located just across 228 memorial park. MRT Station (NTU Hospital St) is right in another gate of the park, very easy to reach and near from the hotel. beside the hotel is a cute cafe which sell various milk tea, and beside the cafe is 24 hour family mart. 100m from the hotel is starbucks cafe. Many food stall are around the hotel. EXCELLENT LOCATION. hotel staff is VERY friendly, easy to communicate, helpful and really nice. They speak english fluently. They work from 7 AM until 11 PM. So if you arrive at the hotel after 11 PM you have to do self check-in but the self check-in procedure is very easy. The hotel has a lift so it is easy for you to get yourself and your heavy luggage to the highest floor (4th floor). I definitely will stay at this hotel again when I visit Taipei next time. the staffs are very responsive to any query and made sure that we were well taken care of. The rooms are quite small and didn't have enough space to open our luggages. There are two convenient stores located around the corner and a pretty good dimsum restaurant right next door. Second time to stay in Sunny Hostel, this time in the Family Room. It’s quite small for a group of 4 but good for the price and location. As always, staff is very friendly and polite. Will definitely come back again! The location is convenient and value for money. Actually, the hostel is more closer NTU Hospital Station than Taipei Main Station. I choose here because I could walk from hostel to Taipei Main Station for only 10 minutes in early morning and take Taoyuan MRT to Airport. The room is quite small for 4 people with big baggages, the public facilities are good. The next door room was very noisy at night I stayed in. I could hear even toilet water flow from the next room. The staff were very friendly and helpful. Gave us a lot of guidance on where to eat good local food and directions to places we want to go. The staff also provide some helpful tips to look out for when visiting tourist area! Near Ximending Shopping District, Beside the Taiwan Museum, Clean Hotel Room, Very Accommodating Staff, Excellent Service, Complete Kitchen Appliance, Good for money, etc. I highly recommend this place. I will surely book on this hotel on my next visit. Affordable Friendly and helpful staffs Clean rooms Comfortable bunk beds Near Mrt station and other tourist spots Oh and did I mention they have free stuff in their pantry? like coffee, milk tea, and, snacks in their pantry. Overall, we had a great stay in Sunny Hostel. Location is walking distance from Airport MRT and close to MRT redline. Very kind and helpful staffs. Room is small but if you share with your friends like 2, 3 or 4, this can be good price/value. This may be good for backpackers or budget traveler especially for woman because of bed size. The staff were very accomodating. There is an unlimited servings of breakfast beverage, biscuits and water, which help lessen our expenses in Taipei. The room is looks very clean and cozy. The staff always clean our room and give us new towels. 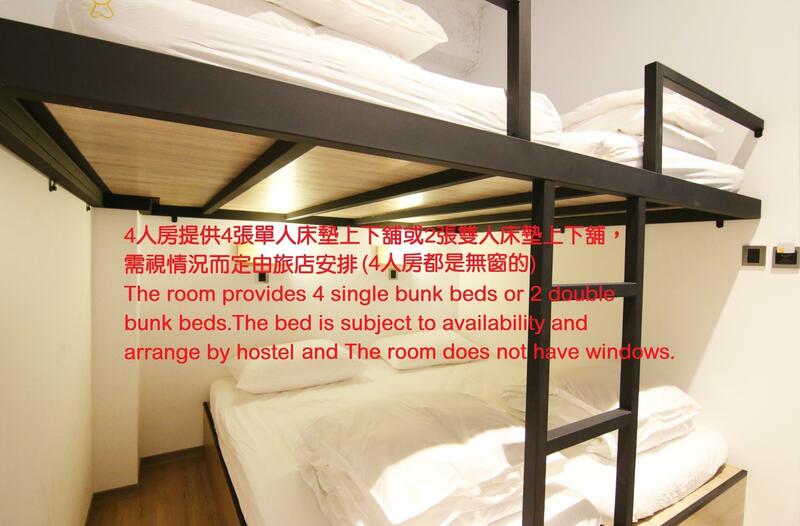 It's a walking distance from the train station (NTU) and Ximen Night Market. We also walked to Chiang Kai Shek from this accomodation. There are also many options for food. The family room has gigantic windows overlooking the park across the street. The bed and the duvet covers are soft and all clean. Their pantry is loaded with free snacks and candy. Their staff are polite and helpful. I had an amazing stay with this hostel. The location is super convenient. Easily accessible to many places especially the subway. The room was small but very clean. There was only one outlet which was slightly inconvenient, but we were only here for one night. The service was extremely friendly and helpful. Would definitely stay here again! Such an amazing hostel! It is conveniently located along MRT’s Red Line, a 2 min walk from NTU Hospital Stn, and almost all the popular destinations in Taipei is a train ride away. The hostel is well kept and clean, and oh the hot shower in our room is greatly appreciated after a lot of walking during the day. 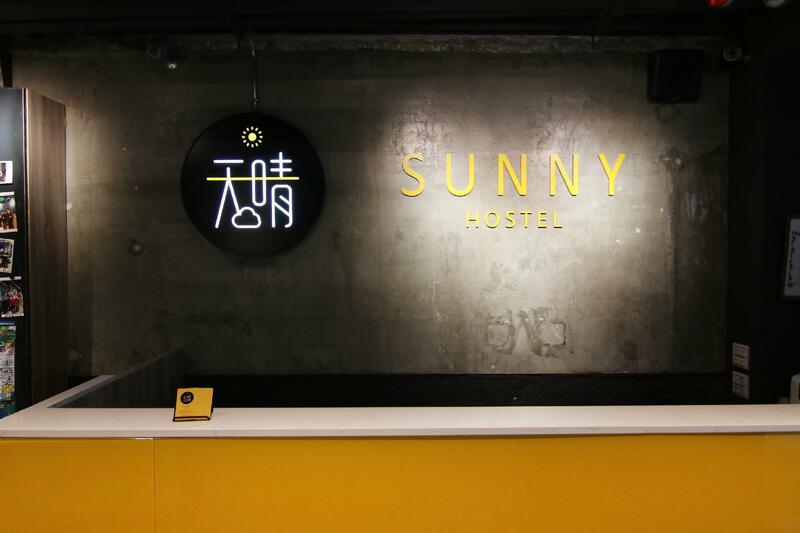 One can never go wrong with Sunny Hostel! Their staff are amazing, always accomodating and helpful with our queries, and infinitely pleasant. Not to mention the unlimited free coffee, tea, crackers and cookies! 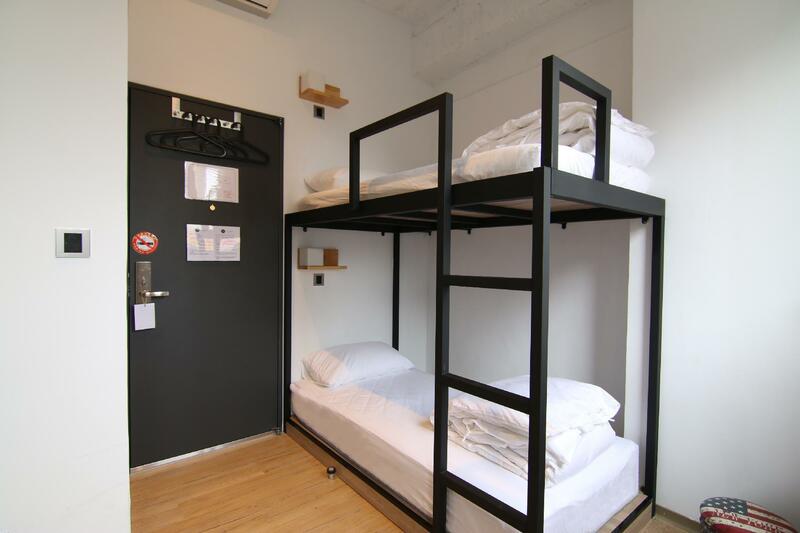 Book this hostel, already! Staying here will make your trip to Taiwan, even more wonderful, you’ll be Sunny happy! 2 mins walk to NTU metro station and walkable 7-8 mins to Tapei Main Stn and Ximending. Friendly staffs with very clean rooms and there is always biscuits and crackers and instant noodles stocked up at the pantry downstairs. The only con will be the stairs u have to climb to go to your room which i think will be a problem for family with elderly. But the staff will help to carry your stuff to the room when u check in. Σταθμός Μετρό NTU Hospital στα 0.24 χλμ.